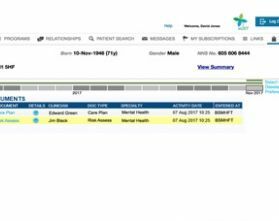 The MERIT Electronic Health Record Viewer has been in use since early 2018, and has just reached a landmark of 500 users. The 500th user has been given access to the MERIT Electronic Health Record Viewer. A group of over 150 new users has been granted access at Coventry and Warwickshire Partnership NHS Trust, which takes the number of staff with access to the system beyond 500 for the first time. Presentations to staff groups continue across all four of the partner trusts where the system is in use.